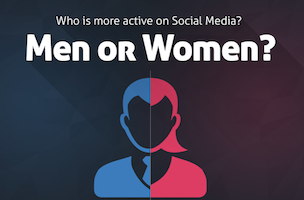 Who is more active on social media: men or women? It’s an expansive question. 74 percent of internet users use social networking sites, with women (76 percent) having a slight edge over men (72 percent). But when you drill down to a platform-by-platform level, the diversity might surprise you. 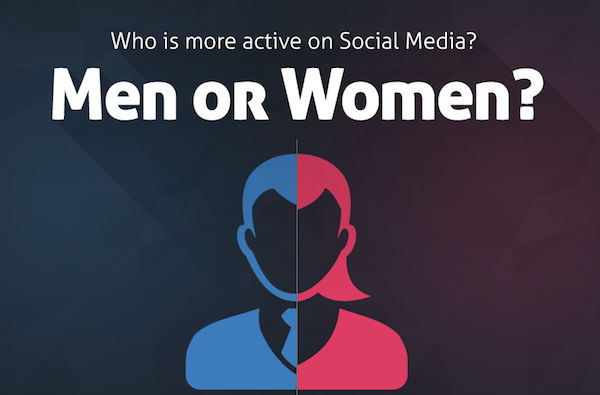 For example, 22 percent of women use Twitter, compared to just 15 percent of men. But on LinkedIn, that stat is almost a mirror: 24 percent of men use LinkedIn compered to 19 percent of women. Google+ is dominated by men, with a 64 percent to 36 percent split (but just 10 percent of internet users overall). Whereas Facebook, which is used by 71 percent of the internet population, is favoured more by women (76 percent) than men (66 percent). Check the visual below for more social media gender statistics, which includes YouTube, Instagram and Pinterest, and comes courtesy of Quick Sprout.